dentistry options for its patients. procedures to improve your smile and appearance. 32 Smilez is a friendly dental clinic located in Chandigarh – City Beautiful catering to the cosmetic facial and dental needs for people of every age and strata. 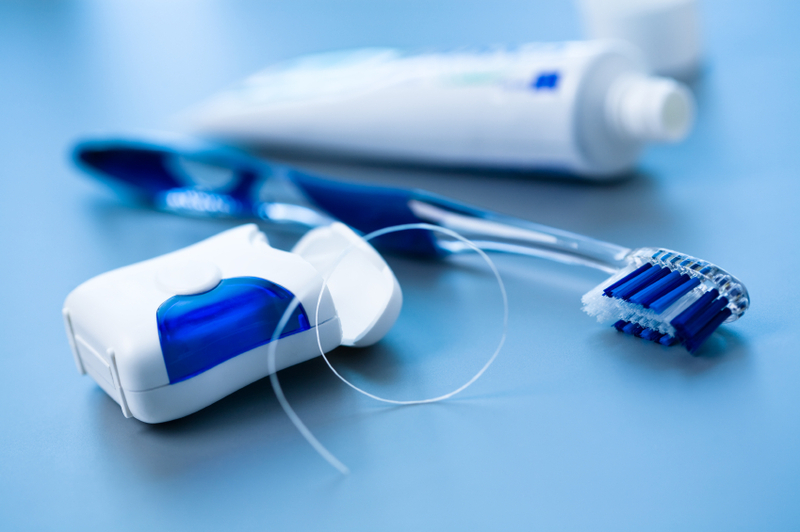 We provide you specialized dental care not only to achieve and maintain good health but also to add value to your face in a most economic way. To make teeth look nice & germ free you can consult yourself or recommend friends & family who are living in India or abroad for consultation with one of the leading dentist in Chandigarh. Visiting dentist now a days is not only for the fillings & extraction but also for cosmetic teeth straightening and tooth whitening. Staff at 32 Smilez is very friendly and assures you comfort while under treatment. Every effort is made before, during and after the treatment to make the experience pleasant while under dental treatment. We provide treatments ranging from simple cosmetic fillings to replacement of all missing teeth using full mouth implants to patients not only from Chandigarh, Haryana, Punjab, Himachal, J&K but abroad as well. Our team of dental specialists work with the motive of providing the best possible treatment available. People from Chandigarh & adjoining states (Delhi, Haryana, Punjab, Himachal and J&K) and even abroad can easily fix a prior appointment by calling our office or by online appointment system and consult the doctor regarding dental problems or their treatment. Our dentist specializes in Pediatric Dentistry, Endodontics, Cosmetic Dentistry, Restorative Dentistry and Dental Implants. Believes in professionalism and total patient satisfaction. The clinical set up is done to ensure complete aseptic atmosphere of working to cut down the transmission of communicable diseases during dental treatment. The color scheme and the design of the clinic and the chair has been done to reduce the anxiety of dental patient and to provide him a calm environment and comfortable treatment. We have a variety of dental procedures & treatments ranging from teeth whitening, dentures, dental implants, dental bridges, crowns, cosmetic jewellery to oral cancer screening. SDF is a liquid that is brushed directly on the cavity to stop decay. It is a painless procedure and can be a good treatment option for cavities if your child is young or has special needs, as SDF can help delay more extensive procedures such as drilling or sedation. Think of it as a band-aid solution, as it will not be a permanent solution to the cavity, but can buy the patient more time and keep the decay from worsening until the child is old enough for treatment to be more successful, or the baby tooth falls out. If you have questions, or would like to discuss Silver Diamine Fluoride as a treatment option for your child, please contact us. 32 Smilez Dental Clinic & Implant Center offers a complete range of general and restorative dentistry options for its patients. Because focus is on comprehensive restorative and cosmetic dentistry, all procedures at the office are delivered with a focus on improving patient’s overall health while improving their appearance. At 32 Smilez Dental Clinic & Implant Center, we offer a complete range of general and restorative dentistry options for its patients. We offer teeth whitening, porcelain veneers, and other cosmetic procedures to improve your smile and appearance. We offer metallic and the ceramic (tooth colored) braces for the patients with crooked, Mis-Aligned teeth. At 32 Smilez Dental Clinic & Implant Center, we offer Space Maintainers for Children, Appliances for Thumb Sucking, Bite Plate/ Night Guard Appliance, Appliance to modify jaw growth. We offer Painless Removal of Tooth (Extraction), Gum Surgeries, Impacted Wisdom Tooth Removal, Apicoectomy, Biopsy and detection of oral cancer, Removal of Jaw Cysts. Dental implant is an artificial tooth root replacement and is used in prosthetic dentistry to support restorations that resemble a tooth or group of teeth. We also offer Dental bridges & denture. 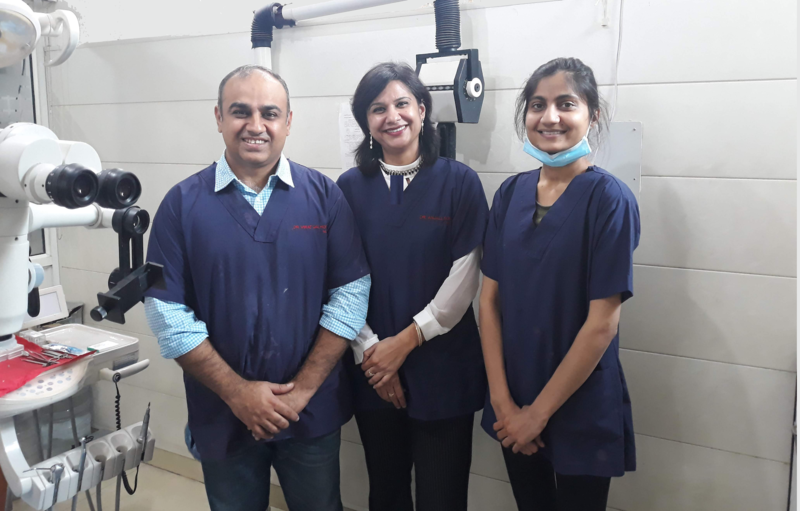 Dr. Virat Galhotra has done his B.D.S from College of Dental Surgery, Manipal which is under the aegis of Manipal University, after that he did his M.D.S (Masters in Dental Surgery) from DAV Dental College & Hospital, Yamunanagar. He is a Fellow of the Pierre Fauchard Academy (USA), Fellow of Academy of General Education, Manipal, and also Fellow of International College of Dentists (FICD). Presently he is working as a professor & head in a reputed dental school where he imparts clinical training to undergraduate as well as postgraduate students. 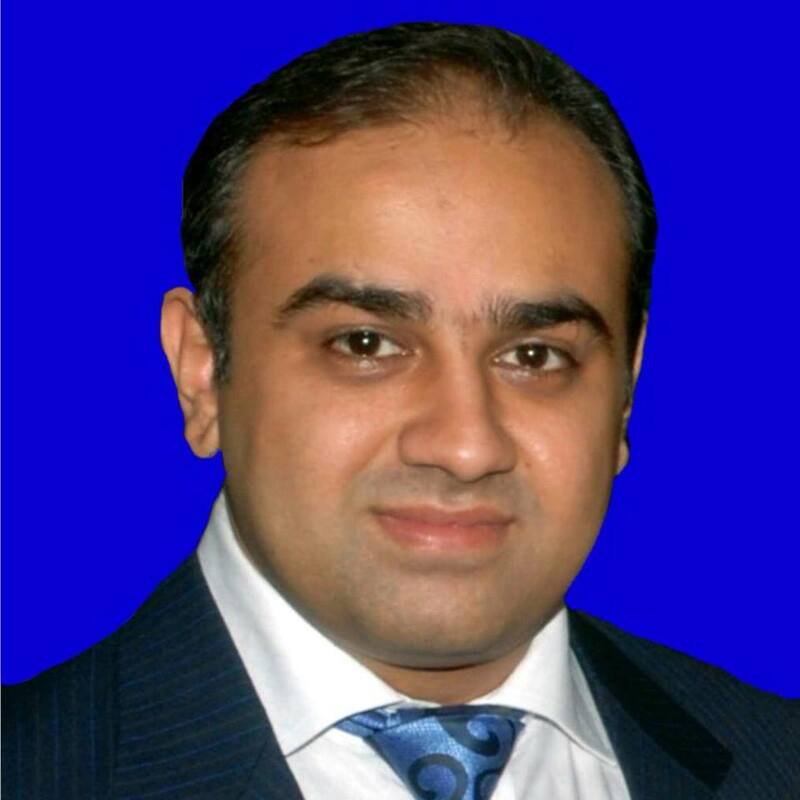 He specializes in Pediatric Dentistry, Endodontics, Cosmetic Dentistry, Restorative Dentistry and Dental Implants. He believes and practices total professionalism and total patient satisfaction. The clinic is equipped with two world class fully functional dental operators providing appropriate privacy of treatment to all the patients. The clinic is equipped with inoperative digital radiovisuography system to provide precision in diagnosis and treatment. Dental Implants have revolutionized the manner in which the missing / lost teeth are replaced. Dental implants refer to tooth root replacements that are used as a part of artificial replacement dentistry in order to compensate for tooth loss for any reasons. Because the missing teeth lead the face to collapse, making you look older, the replacement with the dental implants result is not only an enhanced smile but also a more youthful appearance. Dentures are used for the purpose of proper chewing, improvement in speech, and for aesthetic reasons and are placed where teeth are missing. Common types of dentures used are fixed and partial denture. Removable dentures are more preferable as compared to the partial dentures as they are easy and comfortable to wear. Choice of the dentures is always made according to the mouth condition. Partial dentures are delicate device that should be handled with care. Nowadays, dentures can also be attached to dental implants thus solving the problem of loose dentures which affect normal speech and function. Implant denture an artificial denture that was stabilized by a framework or implanted in the bone. Gum disease are basically serious king of disease if not treated in time it leads to the tooth loss and cancer also. Our gums are the stronger part of our as they hold our teeth in proper manner. So, consult to the best dentist when you feel any problem related to that. Gum disease is also known as periodontal. Metal free crowns are available every where but quality matters. On the other hand in metal free ceramic crowns, the metallic look and the black lines disappear. They offer high strength restorations to dental industry. Various types of metal free crown available at our center. Every one has its own wisdom tooth and it has to be removed with time-an impacted tooth affects it .Dental surgery in Chandigarh has been revolutionized after high quality dental clinic have opened here.